Location! Location! Location! This property is ideal for savy investors or current business owners situated in a "Opportunity Zone" looking to start, expand, or invest in their business. 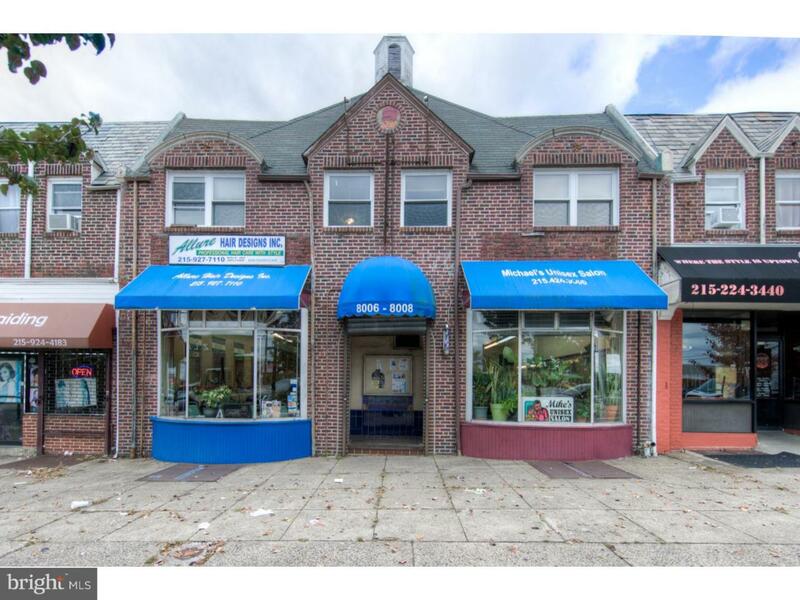 Located in a high traffic commercial corridor, just steps away from the newly renovated Cheltenham Mall as well as other local retail and businesses. This unique commercial-mixed residential use property offers two store fronts and two, two-bedroom apartments above, each with a large living area, kitchen and full baths. The two separate shops have been used as a hair salon and a barber shop for many years. The open floor plan could accommodate any retail or professional business. Practically any kind of commercial, retail or professional office is possible!